Great write-up! Nice to follow along with your methodical approach and see how you arrive at better and better approaches. You don't specifically mention this, but I assume you have separate charge and consumer buses leading to and from the battery bank, with the corresponding cut-off relays mounted in the appropriate bus. Such an approach allows the disconnect of a charge source when batteries are getting too charged, while keeping all consumers happily connected. For my cut-offs, I decided on latching relays. 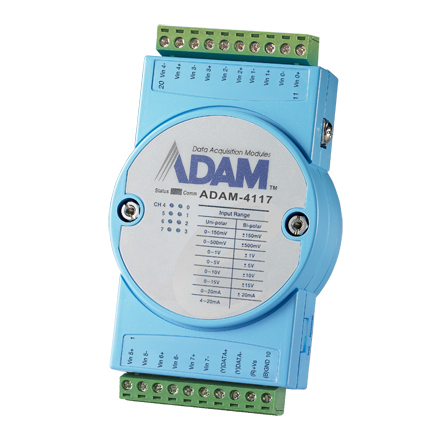 While you could use an NO for the low voltage protection, constantly engaged until condition triggered, this would not just consume energy, but also put undue strain on the relay. You also don't want to rely on power to keep an NC relay open, after triggering, as that could further drain the bank, eventually allowing the relay to close again, before the situation had been corrected. As I mentioned in another comment, once the over-voltage situation has been triggered in my system, disconnecting the charge sources is just the first step. If the condition does not improve (quickly), I trigger another relay to engage a heavy consumer, just to bring the SOC down. 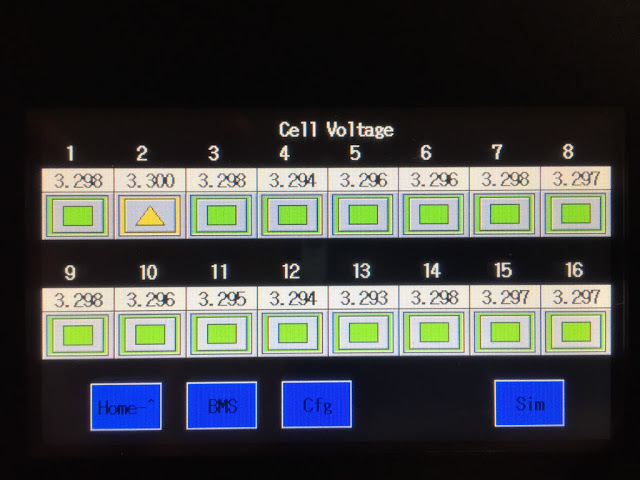 An enhancement you may want to consider is to use a coulomb counter, instead of just a voltage level, to decide when to re-engage triggered cut-offs. This will allow you to get further into "safe territory" before reconnecting and possibly re-triggering the error situation. Finally, if you're not using the boat full-time, having a program that actively manages the SOC when you're away, with potentially very different parameters than during use, could be useful. I'm planning for several programs, each for a different usage scenario. Thanks for the comment, Frode. 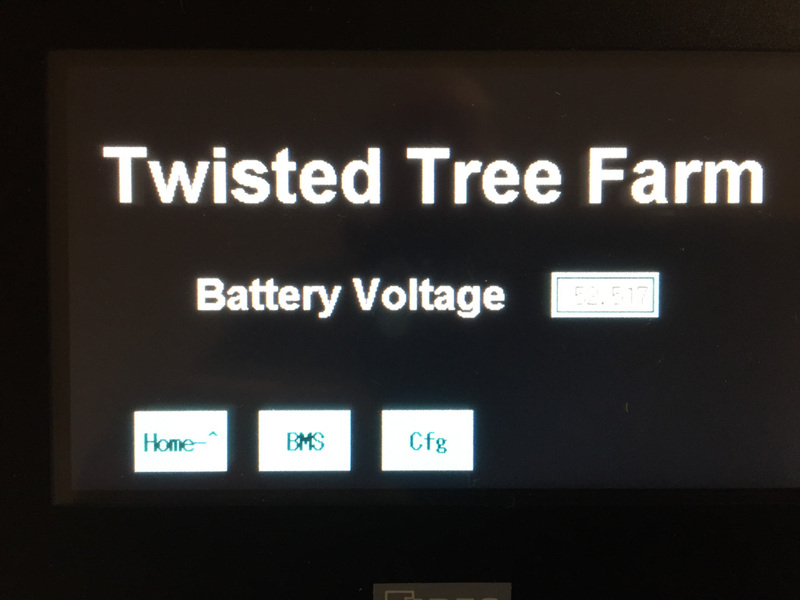 I've decided not to have separate charge and discharge disconnects, and am instead directly controlling the chargers and inverters. On this first system for a land-based home, there are three charger sources (two solar chargers and the inverter/charger), and they can be controlled via a control signal from the BMS. And the only load of any significance is the inverter which can be similarly controlled. The goal is to have all my charger settings such that the BMS never needs to take action in the first place. My warnings will serve to alert me when that's not working. So a disconnect will only be needed if something is broken and has gone nuts, or if I've programmed something incorrectly which is much more likely. 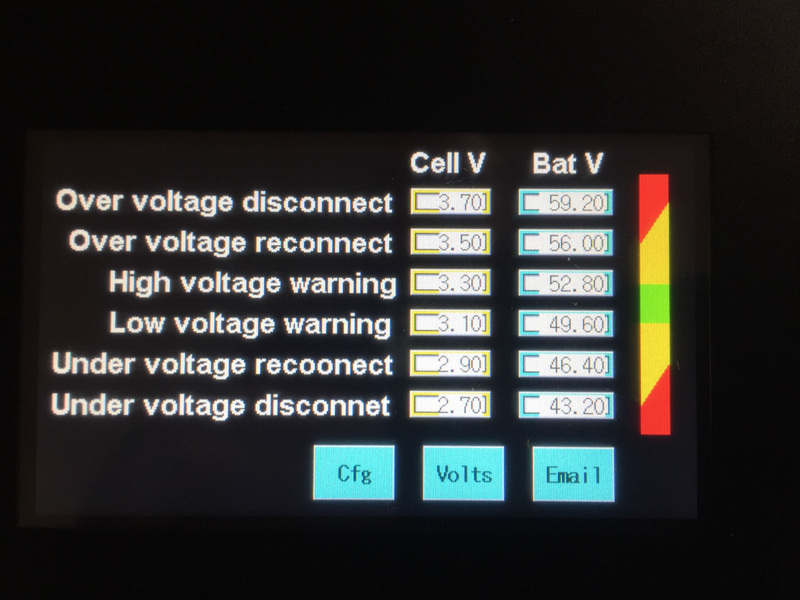 For discharge, I'll dial down the Inverter LV disconnect so it pulls the plug around the same time the battery system would. The remaining DC load is pretty small. In fact, I have been slowly removing DC loads, and need to check to see what is still left on it. Latching relays are a definite possibility. I'd be interested in what make/model you are using. I think the relay selection is all about power consumption and how things behave under various failure modes. With complete loss of the BMS, and powered relay will open, so there is a deadman's switch aspect to it which is good. But that comes at the cost of continuous power consumption. 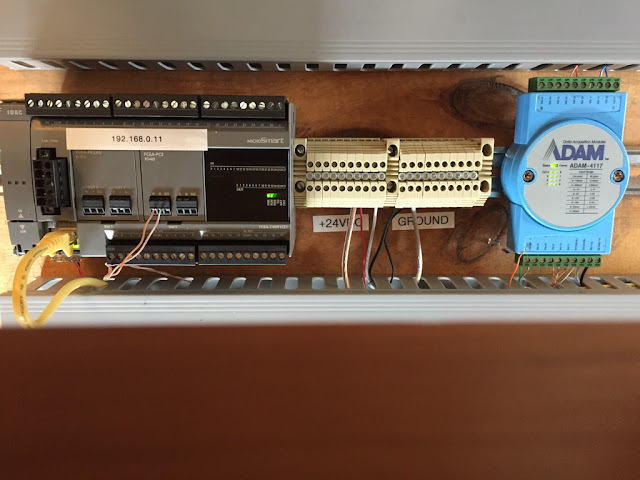 A latching relay eliminated ongoing power consumption, but requires power and BMS presence of mind to disconnect. So in a BMS failure situation, you could easily find the battery left connected. My leaning is towards a powered relay, but with lower power draw, and I have see a few - just not in 48V. There is always a load on the system, so if I need to shut down chargers, I'm not worried about the batteries staying too full for too long. And if they do, it's because something has broken, and the battery disconnect will protect against that. Coulomb counting is something I will likely experiment with at some point. With this first system, there is no such thing as storage, so I don't need to worry about batteries left at a high SOC for extended times. Night time comes reliably every day, and will cycle the batteries. Insufficient sunlight is the bigger issue, and that's where generator autostart comes into play. The trick will be to set the start threshold correctly, and I expect it will require a little experimentation. But the auto start controller has good support for different voltage thresholds lasting for various lengths of time, so I'm confident I can get it to work reliably. That said, when I roll this into the boat BMS system, I an thinking about a "storage" mode that will operate the batteries at a lower state of charge. Nice write-up, thanks for posting it. Regarding contactors, you might consider a dual-coil design. They use a big coil to move the switch, and then they use a little coil to hold it in place. You should be able to get <2W consumption at 400A or so. If you need more than that, you could parallel two smaller ones. I've been happy with Gigavac's line, and they make them at 48V and up. Regarding latching contactors, I don't think these are a viable option if you want the thing to fail safe. I am curious if and how you are handling pre-charge. You didn't mention it, but this is a big issue during testing (when we are often cycling the contactor) and it is also an issue during maintenance (when we intentionally isolate the battery for a while). 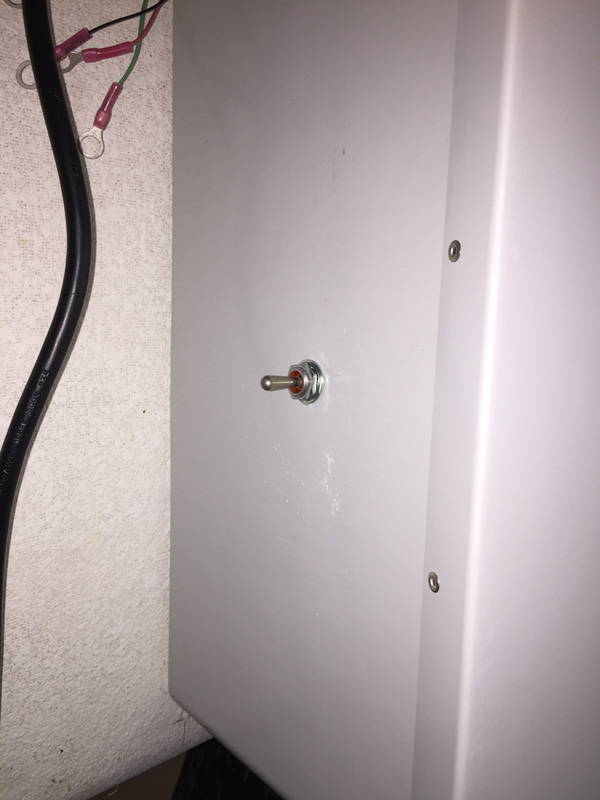 It is possible that your loads are too small to create much of a transient, but I think you should assess this if you haven't already, because most larger inverters have pretty big buffer caps that will need to charge. Most of the expensive contactors can only take on the order of tens of actuations with current, so it's possible to be well on your way to damaging them by the time testing is complete. Regarding fusing, another option a lot of people use for sense wiring is just to elect a reasonably small gauge for the wire. Said wire IS a fuse! The right wire coating can keep said wire to basically a "contained melt" rather than something that might sustain other combustion. Thanks Ben. I appreciate the leads on lower power contactors. And the more I think about it, I'm not comfortable with a latching contactor either, so that's off the table now. You are correct that I don't have any pre-charge circuit, and I have noticed them in other designs. I know they are to reduce arcing, but didn't realize contactors have such different ratings when operated under load. Time for me to take a closer look at the specs. Have you seen any details on pre-charge circuit designs? I'd welcome any suggestions. Another thing I would welcome any suggestions on are inexpensive temp sensors. I have samples of three different styles on order to check out, but am not really happy with any of them. I'm also not sure how to best attach the probe. I think something stuck to the side of the battery case would be the best sense point, but I have not had good luck with that style staying attached long term. They always seem to fall off. Batter post connections are an option too, but I would think they are not as good a sense point. But maybe that's not true. And I have had trouble finding one that can accept an 8M (5/16") bolt. They all seem to be 1/4" or smaller. Re: pre-charge, I am only aware that there are some the EV guys use, since they are plugging their car in all the time. This works well because a battery disconnect is an emergency in my situation: it should never happen. If it does, I am going downstairs and figuring out what went wrong, no matter what. So the hassle of a manual pre-charge is nothing on the margin. Re: temp sensors, are you using these only for an emergency disconnect, like if the battery gets hot? Or do you want to detect cold weather and also reduce or shut down charging, etc.? In my case, I only care about thermal runaway, so I am using a string of cheap thermal fuses in series. I just tape them around the batteries in various spots, enough that they will open the main contactor if any portion of the pack gets above something like 140F. My cells all have space between each of them, though, so it was pretty easy to snug them in between each pair. Consequently, I didn't look into fancier thermistors or other probes. I do have a single cabin thermal probe that is tied into my Victron gear, and in theory I could use that as a decisionmaking input. So far, though, I have found that my insulated battery bay never really gets that cold or that hot, so I've not had to fool with adding any more automation. I haven't put the pack through the depths of a real winter, though. Yet! Victron has a pre-charge feature built in, and I think Lithionics as well. I'll have to give some thought to how automated a pre-charge I want. It would actually be pretty easy to have the PLC close a relay to cut in a pre-charge resistor, then after some time delay close the main contactor and release the pre-charge relay. I could also measure the load-side voltage and pre-charge up to some voltage level. I'll probably experiment manually, then decide how automated to get. In the mean time, I'll be sure to open the breaker before I turn on the battery system, then use the breaker as a switch since it's designed for that. Re temp sensing, I want to accomplish a few things. 1) Detect a battery that is getting too hot, indicating some sort of serious failure. This is a safety protection, and what you are accomplishing with your thermal fuses. 2) But I also want to get a close read on how the battery temps vary during use, particularly when charging. It's not an issue in the house system because my basement stays cool year round. But on the boat I have a mild concern over the battery operating temp and it's impact on battery life. I'm comfortable that the ambient temp will be OK, but I don't yet have a good handle on how much self-heating to expect from the batteries themselves, especially as charge rates get higher. So I want to monitor that. 3) It's possible, but so far I think unlikely, that I'll adjust operation based on temp. There is an argument that temp should be taken into consideration is setting some of the charge termination voltages. But my goal is to stay far enough away from the battery's full charge point that it won't ever matter. Probably the more critical thermal concern, IMO, is to test your pack "on the bench" with a thermal camera to find wiring issues and identify any premature failure on new cells. Snap one up if you don't have one already; they're useful in so many ways and great fun. Back in 2012, EVtv posted a chart showing their recorded temperature increases in CALB cells under various charge rates. Essentially, it shows very little increase at charge rates of 0.5C and below. Awesome links, Frode, thanks! That conforms what I have heard anecdotally. Also enjoyed the write up. I built something similar using different components. The PLC was a Triangle Research Nano-10, the ADC basically the same as yours, a generic 8 Input from Wayjun and the human interface on HMI Pad by SweetWilliam. 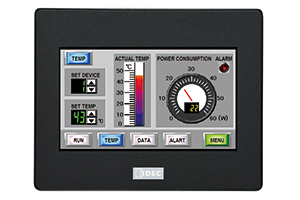 The Nano-10 has an Ethernet connection and software allowing a user customizable web page for monitoring and control. If you were an HTML guru, lots possible, but I'm not. So the displays were very utilitarian. 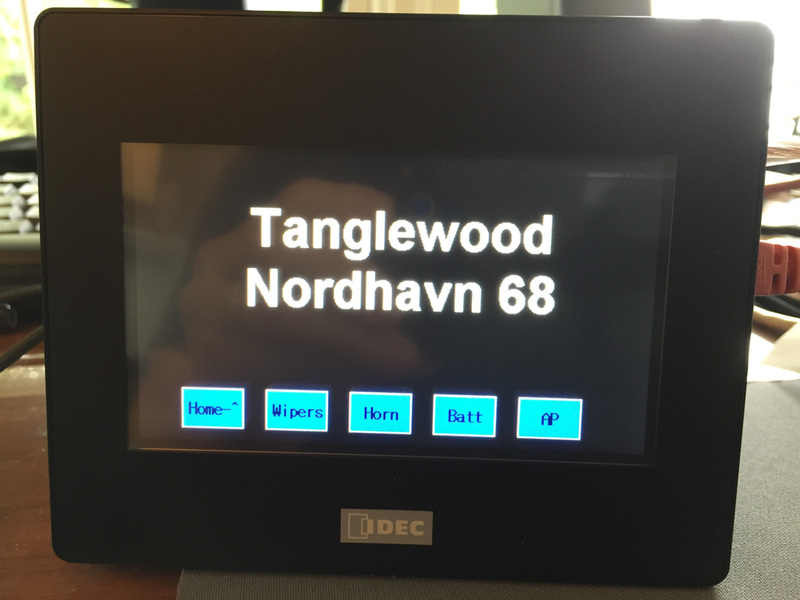 The HMI Pad app was not required for the running of the BMS, but what it optionally provided was data logging and display. I kept a couple months of data and you could go back and look at graphs of any data monitored by the PLC. And relative to HTML, very easy to make nifty displays. This product is free to try, pricy but worth it to use. I noticed on your pictures it looks like you are only taking one wire to the cell for say C3+ and C4-. Fully connected and working, this works. However I think you will be surprised if you remove one of your fuses and find both cells still reporting voltage. Basically with my example above, the ADC will report C3 + C4 / 2. I discovered this by accident, and filled the cuss jar that day. The reason is there are resistors in the ADC creating a voltage divider. You are using a different brand than I did, so perhaps it won't apply. I ended up running separate wires for every ADC input. One solution to the precharge is to put another small battery in parallel with the LFP bank. But wired on the inverter side of the disconnect. My bank also started the main engines on a 44' trawler. This also protected the alternators. The drawback is during discharge, the LFP bank trickle charges the small battery. In the face of our refrigeration loads, it got lost in the rounding error. I used fuses like you did on every cell tap, but it was not fun. There is a product in the auto industry called fusible links. It's just wire inside a jacket with an extremely high temp rating. I wanted like 1/2 or 1A wire, but could never find that. I also used RS485 activated relays to switch in power resistors (bell wire) drawing about 10A off a cell for balancing. This only designed for initial and maintenance balancing, not normal operations. It worked OK, but probably not worth the effort. Short of cell failures (I had 2) the bank never needed balancing after installation. Good luck! Email me if you have questions. Bob at Ebaugh dot net. Thanks for the comments. They are very helpful. There are two sense wires (plus and minus) for each cell - actually each set of paralleled cells. So the Plus sense for C3 is electrically the same as the minus sense for C4. But they are still different sense wires for each. Regardless, I'll double check your test. 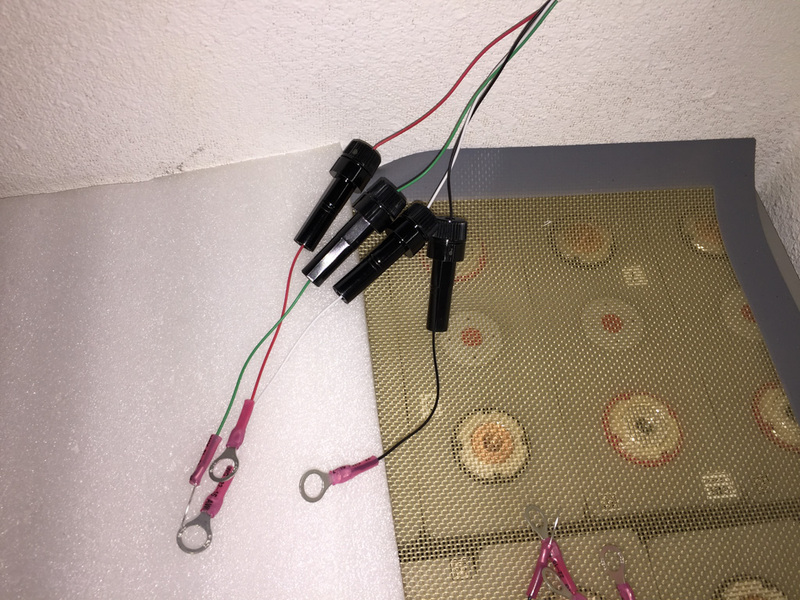 As I was hooking it up, each voltage started to read when I hooked up the second sense wire, but I'll still go double check by removing fuses in the middle of the string to see what happens. 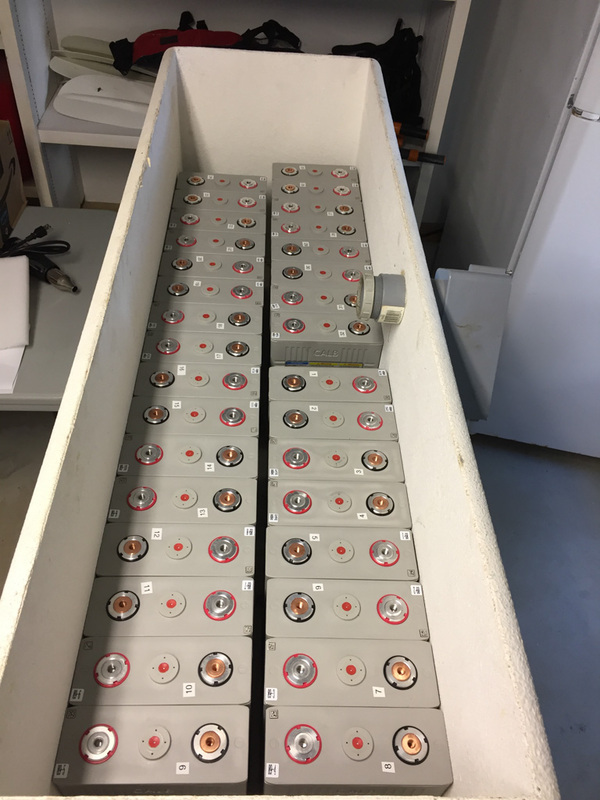 A bunch of design approaches utilize a lead acid battery in the system somewhere, but my goal is to run completely independent of any legacy batteries, so I've elected an approach that doesn't use them. I think I'm going to order a Gigavac contactor and swap it in before I put the pack on line. The reduced power consumption is very compelling. I'm thinking it would then be interesting to run an experiment with the removed contactor to see how many battery connects it can do into an un-powered inverter. I'd be real interested to see how long it lasts. The contactor has a graph that shows how many closures it can survive at various current levels. What I don't know is what the inrush current will be into the inverter as it charges the caps. For now I can simply turn off the DC breaker to the inverter before I activate the battery pack. That way the breaker will be taking the inrush load, not the contactor. But I think I'll build some sort of pre-charge feature. 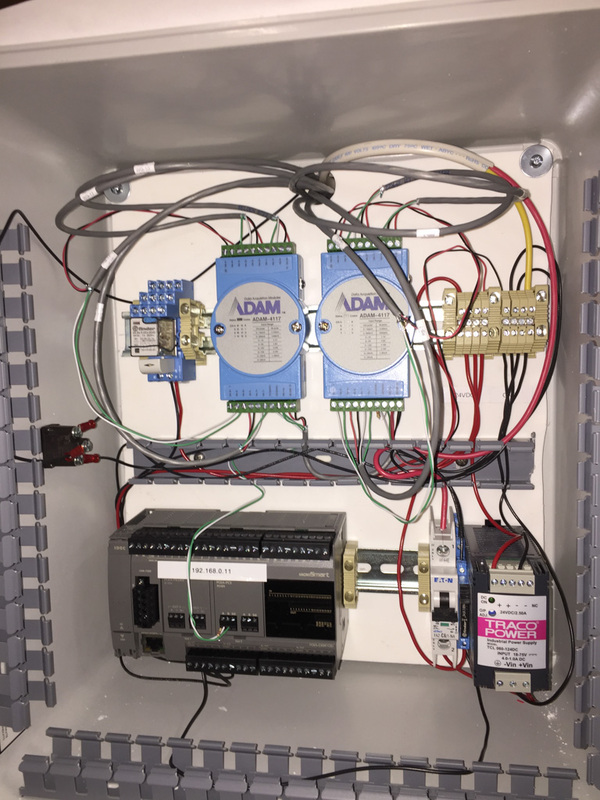 It shouldn't be too hard with the PLC. Let us know if you do that contactor experiment and what you find! 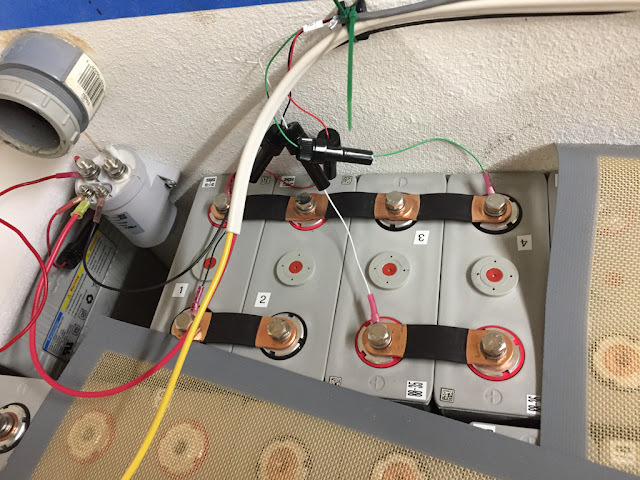 Note that you said experiment might also put some wear and tear on your overcurrent protection, although if that occurs it will probably be in the direction of failing safe. I have heard that a good rule of thumb is to assume 30 times the steady-state current for inrush, in the absence of the ability to take a direct measurement. If you are able to scope it with a clamp or a shunt, it would make for interesting reading. 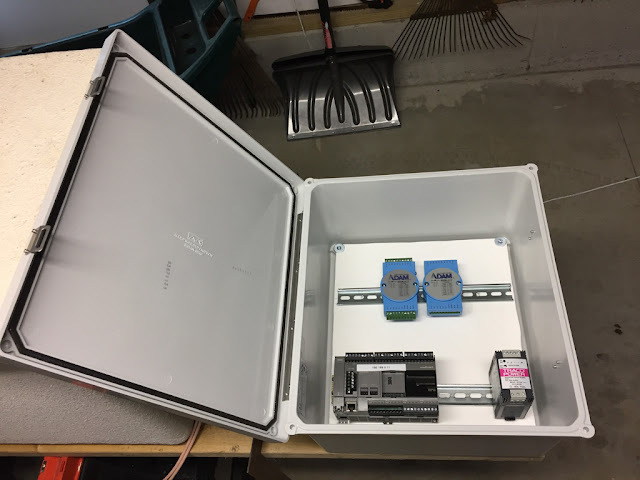 I know on my Quattro, I can see the big electrolytic caps when I open up the panel, so you might also be able to just get the sizing and make a rough calculation, if you've got your interconnect Ri well-characterized at this point. 2) If all the wiring remains it works perfectly, the resistors are minuscule. Hope my ASCII drawing helps....and while I'm 90% sure you will see this, I'm not certain. I think it will depend on the impedance between the adjacent channels, right? I'm also seeing 20M ohms input impedance in the specs for the ADAM 4117. Where are you seeing 800K? And I don't see any spec for inter-channel impedance. Is there a way on Blogger to get an email if this thread is updated? I don't see one, so I have to remember to come back and check. When you post a comment on Blogger, there is a check box off to the right for "Notify me". If you check that, you should get email when there are new comments. Thanks! I found the notify box. Glad you found it. Did you see the new blog entry with the results of the experiment you suggested? I'm guessing it's all about the degree of inter-channel isolation in the particular sensor. I think you said you were using a Pi sensor of some sort? Would you have an exact model?